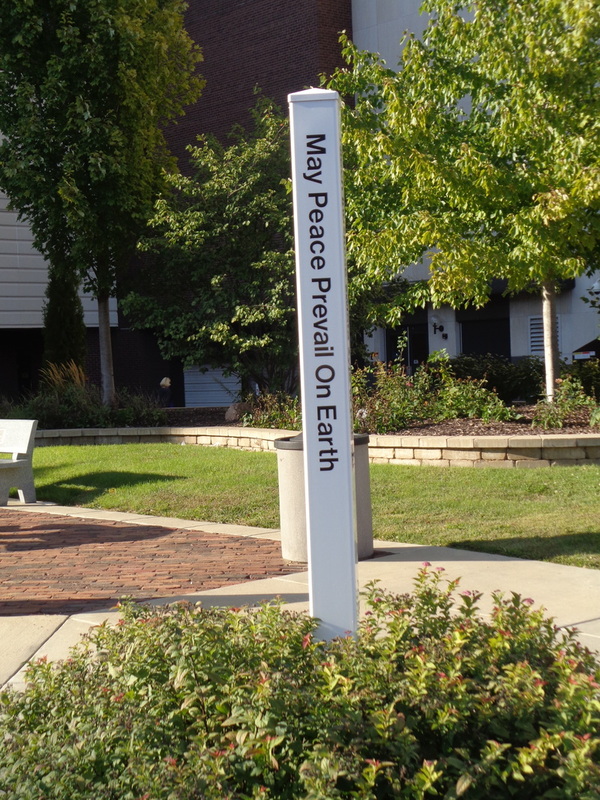 Courthouse Square in the 100 block of N. Chuch Street is a beautiful oasis of green among the legal buidings. 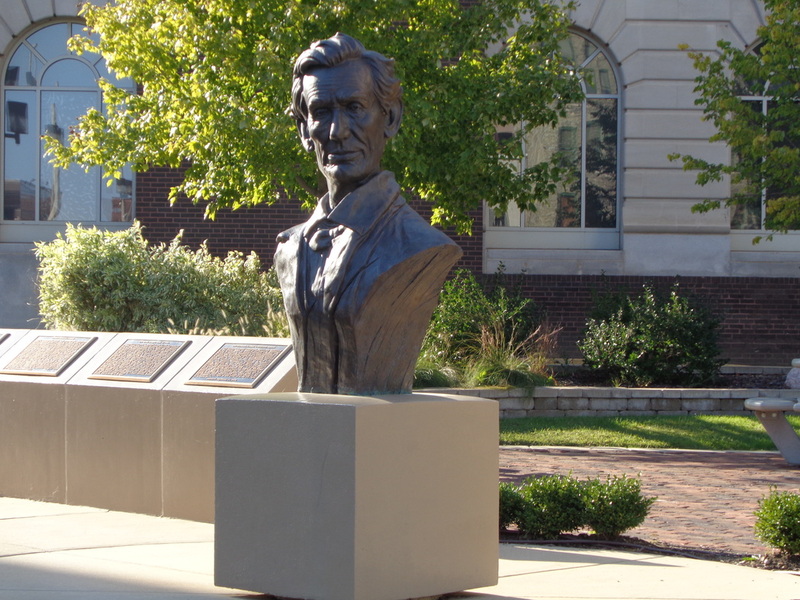 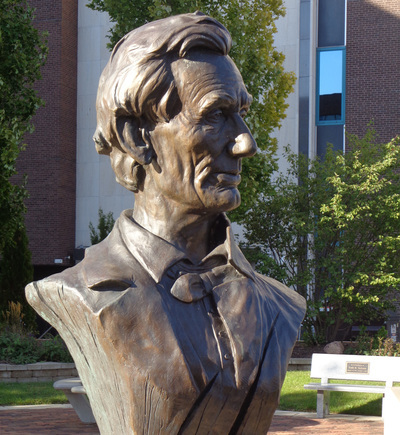 It includes a history of Lincoln's career with special mention of his Rockford connections. 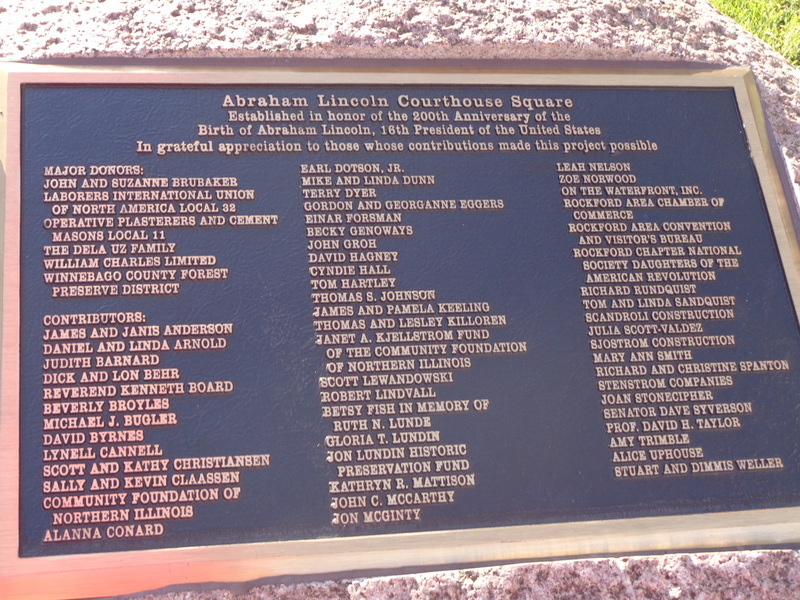 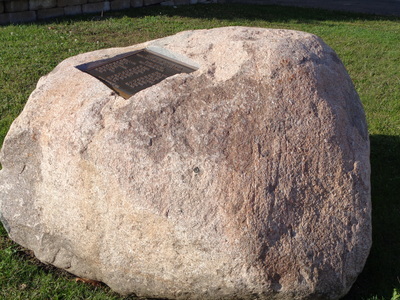 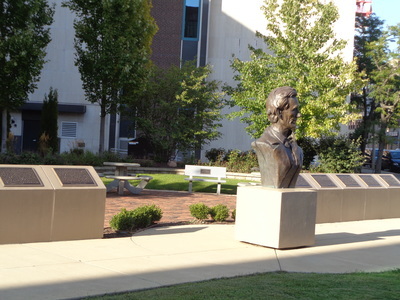 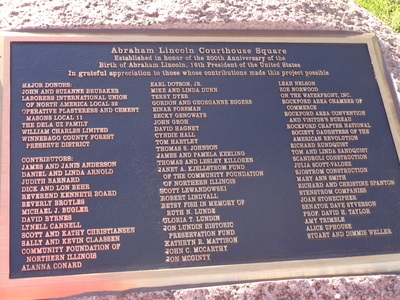 A Lincoln bust, two peace poles, and a large rock marker sit among well placed historical tablets telling the Lincoln story.